After all the bad news of the past few days we need some good news to lift our spirits before Shabbat, so here is my latest Good News Friday post. Ynet has interviewed one of them, and I’ve gone ahead and translated some of the most interesting and telling parts. The tale of the tape: she is treated normally by her Jewish compatriots, and, in fact, receives more encouragement from them than her Arab brethren. What a great video and what a lovely lady! Kol hakavod to her for breaking cultural and religious stereotypes, and good for her for praising her Jewish workmates and customers. So much for the apartheid myth! The Council of Higher Education in Judea and Samaria approved Wednesday the establishment of the Faculty of Medicine at Ariel University. The proposal to establish the medical school was approved unanimously. The decision to bring the subject to the approval of the Council for Higher Education in Judea and Samaria, a branch of the Main Council for Higher Education in Israel, was made by Attorney General Avichai Mandelblit, in a legal opinion published earlier. 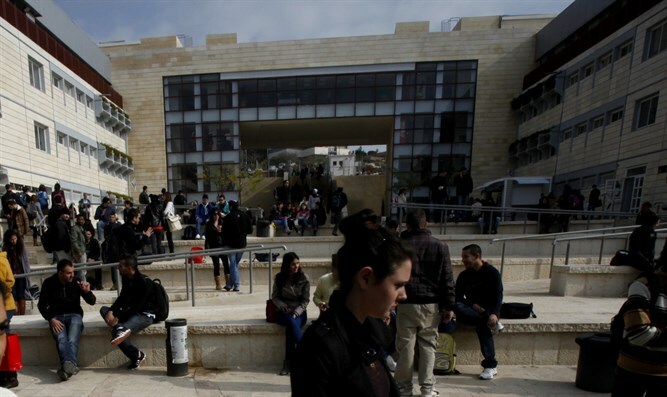 The Main Council for Higher Education’s Planning and Budgeting Committee had recently voted down its own previous approval of the medical school, claiming that one of the voting members had a conflict of interest, but Mandelblit said that this negative vote was not binding and that the issue could be brought to the Judea and Samaria branch for a decision.. The Judea and Samaria branch is slated to join the main council within a short time. The establishment of the Faculty of Medicine in Ariel was promoted by the Minister of Education and Chairman of the Council for Higher Education, Naftali Bennett, and received the approval of an external committee composed of independent professionals. Kol hakavod to the Education Minister and to the Council for Higher Education that finally made the right decision. Israel is in desperate need for more doctors and the only way to obtain those is to teach and train more. May the new medical school be a great success. Imagine being able to treat burn injuries without causing added pain to the burn victim when dressing a wound. An Israeli nanotechnology company focused on the development and manufacturing of portable electrospinning technology for medical applications, has created a device that does just that and more. Nanomedic Technologies Ltd, based in Lod, a city just outside of Tel Aviv, has developed a breakthrough medical device that looks like an oversized glue gun, which helps burn victims skip the unbearable pain usually associated with dressing changes in burn treatment. Nanomedic developed the SpinCare device, a portable wound care system that creates an on-the-spot nano-fibrous layer for tissue repair and healing without any contact from the caregiver. The device is used in European and Israeli hospitals and is set for commercial market release later this year. “The unique aspect of our device is that we manufacture on-site a transient skin layer, a protective layer that remains on the wound throughout the healing process. The polymer solution we use is proprietary, with characteristics specific to the treatment for the wound,” says Barak. There is also a reduced risk for infection, she says, because the wound is never touched. “You don’t need to replace it. Typically, the major pain that patients complain about is the traumatic changing of dressings. Here you skip this step and this is crucial for the patient and for the caregiver. After our application, you can go back to regular day-to-day life, including early showers and free movement,” says Barak. For the thousands of new burn victims every year, this is optimistic news. This is fantastic news for burns and wounds patients. Kol hakavod to Dr. Chen Barak and Nanomedik Technologies. May they go on to ever greater success. The name of the laboratory is “Dog Prognose“. It allows a person to send a saliva sample (in a small plastic container), and receive an immediate answer as to whether they have cancer. The cost of the test is NIS 399, just a little over $100. In a recent study conducted by Prof. Pesach Schwartzman of Ben-Gurion University, it was determined that various types of cancer share an odor that dogs are capable of identifying. A famous case involved Daisy, a dog who managed to correctly identify 500 cases of cancer, and smell a total of 6,500 samples. Daisy, who worked for “Medical Detection Dogs”- a foundation in the UK – passed away last year. Daisy was a pioneer in sniffing out cancer cells in breath and urine samples, and even detected her owner’s breast cancer in its early stages. What an incredible development! Think how many lives can be saved, and at such a minimal cost. Kol hakavod to Uri Bakeman and his Dog Prognose laboratory, and of course a huge kol hakavod to those beautiful dogs who, true to their description as man’s best friend, can save so many human lives. With these inspiring thoughts I wish you all Shabbat Shalom. This entry was posted in Culture, Arts & Sports, Israel news, Slice of Israeli life, Technology and tagged Ariel University, biomed, burns, cancer, Good News Friday, Israeli Arabs, medical school, Muslims. Bookmark the permalink. What a fantastic post!Kol hakavod to the bus driver.I wish her many safe journeys.She is a true pioneer ,not only of peace,but of promoting Arab women into the labour force. Regarding the burn technology-how wonderful.My own daughter got terribly burnt a few years ago,when some tea spilled on her leg,and dressing the wound was horrendous. And those clever dogs! Well done to all these clever people with brilliant ideas. I absolutely agree with Reality re the bus driver. In the UK, of course, women bus drivers, bus drivers with turbans (i.e., Sikhs), or with those Muslim caps on, etc and so forth, no one, of course so much as raises an eyebrow. As you note, Anne, this makes the point, yet again (and why does it have to be repeated so often? Don’t bother to answer, we all know the answer already!) that Israel is an equal opportunity society for ALL its citizens.